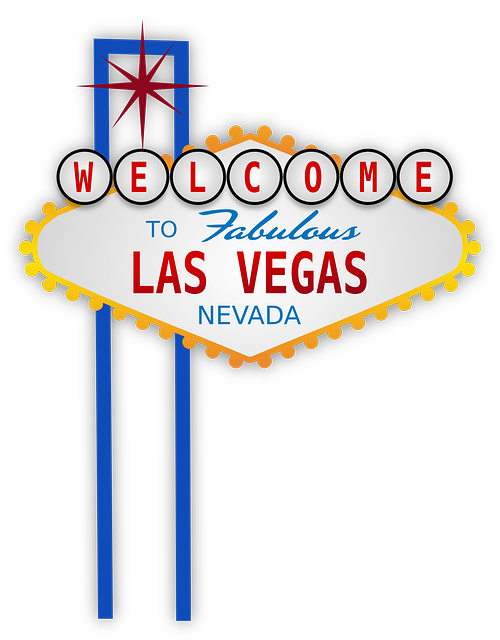 Cox and CBS Las Vegas affiliate KLAS-TV can't reach a contract agreement. 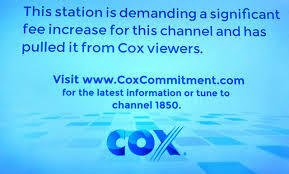 Screens went blank on Saturday, Jan. 30, 2016, showing only this message: "This station is demanding a significant fee increase for this channel and has pulled it from Cox viewers." Talks between Cox and Nexstar are stalled. Caught in the middle are the cable company's Las Vegas customers. This threatens about 350,000 customers ability to view CBS programming - including the upcoming Super Bowl 50 on Sunday, Feb 7th. You realize, of course, that eventually the two parties will reach an agreement, and programming will be restored. But if you're a Cox customer right now, that's little consolation! But you can watch CBS and KLAS-TV content for free, and without switching providers! Dish TV has launched their new OTT (internet) TV service called Sling TV. Sling TV is a new live TV service that allows subscribers to watch several cable TV channels on their TVs, computers or mobile devices. These are live TV channels, just like cable, except they're delivered over the Internet. Sling TV is a subsidiary of Dish Network, the satellite provider, it's operated as an entirely separate service. You don't need a Dish subscription to get Sling TV. Sling offers a selection of channels from AMC Networks, Disney, Scripps, Time Warner, and Univision, most notably ESPN and ESPN2. Three add-on packs are available for $5 each: "Kids Extra" adds Baby TV, Boomerang, Disney XD, and Ducktv, "News & Info Extra" adds Bloomberg Television, Cooking Channel, DIY Network, and HLN, and "Sports Extra" adds BeIN Sports, ESPNews, ESPNU, ESPN Goal Line, SEC Network, Universal Sports, and Univision Deportes Network. Sling TV also features video on demand content, including catch-up programming from its channels, and original content from Maker Studios. Note that Sling TV does not provide your local network channels (ABC, NBC, CBS, PBS, FOX, CW, ION, etc) but it appears to be an ideal option for those that currently use an antenna for watching their local cable channels, or if you use Hulu to access content. 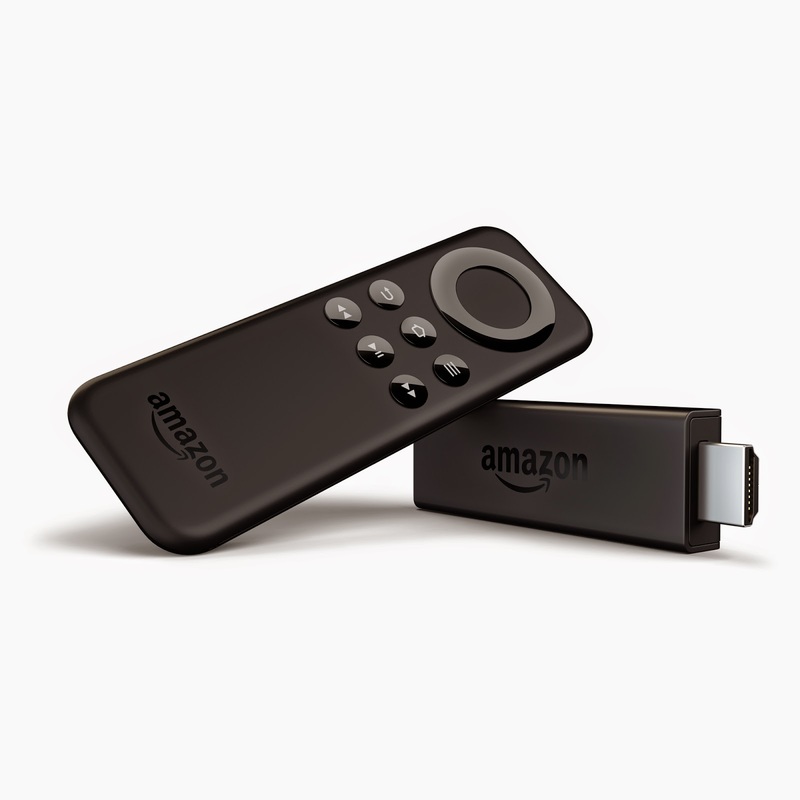 I have just signed up for the free trial and added the channel to my Roku players. I will report back with my review after my trial period is over. 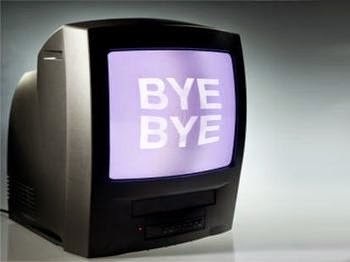 Cache Free TV is Moving on. Moving on... out of town, out of Cache County, and out of Utah, and away from Google's "Blogger" platform. I'll be keeping this blog online as a resource for those in Cache Valley and Northern Utah. I will continue to monitor the site and answer questions. I'm also moving on from Blogger. 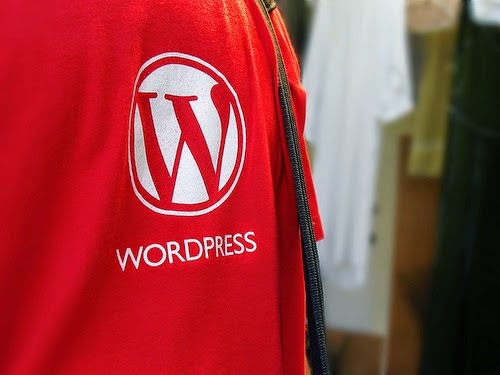 I will be using WordPress on the new site, it's a lot more flexible. I've copied the posts that aren't specific to Utah, and have lots of new posts coming concerning how to enjoy TV for free. And none of them are going to be specific to Utah. Come and visit me at my new place! 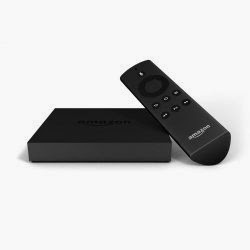 Cash Free TV: Amazon Launches "Fire TV Stick"
Cash Free TV: Amazon Launches "Fire TV Stick": Amazon is now taking pre-orders for their new Amazon Fire TV Stick ($39) , a device that is positioned to compete with the Google's Chromecast and Roku's Streaming Stick. Well, it has come to pass - I am no longer a resident of Cache Valley, or Utah. I've moved back to Las Vegas. That means I can't install your antenna, or sell you an antenna in Northern Utah. I will continue to maintain this blog and respond to reader's questions, however. 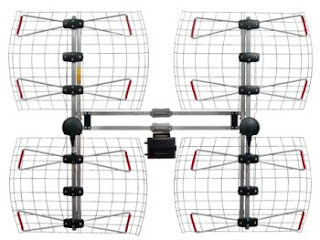 I can still recommend antennas for your location and offer you advice - no matter where in the USA you live. They say that all good things must pass... And so it is for my time in Utah. As of mid - August 2014, I will be moving out of state. I will still maintain this blog, but updates will be few and far between. I can still answer your questions and make recommendations for you. But if you want to buy an antenna or have one installed, time is ticking. I have a limited number of antennas here that I can install or sell, and when they are gone, they're gone. Now's your last chance to save hundreds to thousands of dollars by firing your TV provider and having Cache Free TV install an antenna for free HD TV for life! 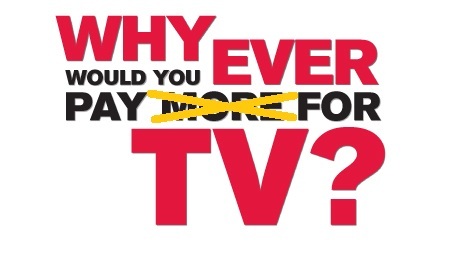 Why are YOU still paying for TV? I lost CW30.1 and ZUUS Country 30.2 a few times this past week. Sometimes when I re-scanned I found a 30.3 sub-channel - with nothing on it. Or nothing on 30.2, and ZUUS on 30.2. But on Saturday May 3 when it happened again - I re-scanned, I found ZUUS Country had been moved to 30.3, and 30.2 is now the MOVIES! network. Movies! (stylized as "MOVIES!") is an American digital multicast television network that is owned as a joint venture between Chicago-based Weigel Broadcasting and the Fox Television Stations subsidiary of 21st Century Fox. The network features an emphasis in its programming on feature films; it is available in the United States through the digital subchannels of broadcast television stations, as well as on select cable providers. Movies! is broadcast 24 hours a day in the widescreen picture format (available in either in standard-definition or high definition depending on the station's preference). The network competes with This TV, a similarly formatted network originally operated by Weigel (whose operational stake in that network was later taken over by Tribune Broadcasting on November 1, 2013); that network's primary source of programming is composed of feature films, though that network also broadcasts classic television series and children's programming. Anyone miss the classic TV variety shows? I sure do! 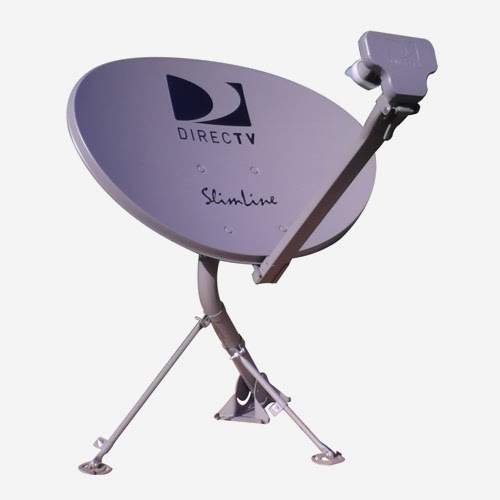 When I started this blog in 2011, I had just dumped DirecTV and put up an antenna. DirecTV was costing me about $70 a month. In my first post on the subject, I noted that this was pretty much average for Pay TV customers. I also calculated that this $70 a month added up to about $9000 over 10 years, and would only continue to rise over time. So now just a few short years later in 2014 the average cost of pay TV is up to about $85 a month - over $1000 a year, over $10,000 over ten years. In fact, the average price of cable has been increasing at a rate of 6% annually. What is the cable company going to get from you over your lifetime? Let's assume that you start paying cable at age 20 for $85 a month and continue to pay until you are 70, a period of 50 years. If you were able to work out some magical deal with your provider to have no price increase for 50 years, you would spend $51,000 on TV during that time. 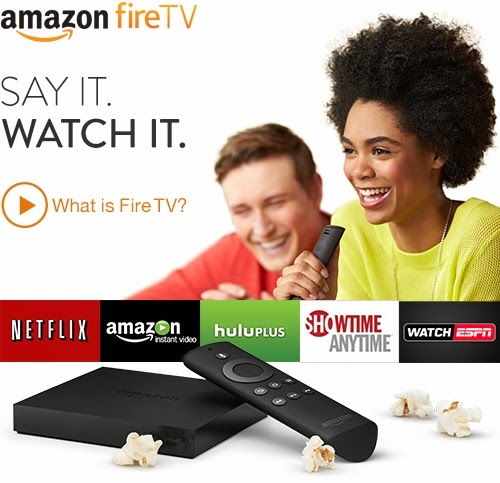 Add taxes, Set Top Box rentals, and a 6% annual price increase, and your lifetime total for TV alone will approach $100,000. Amazon Prime: Is it worth $99 a year? We are writing to provide you advance notice that the price of your Prime membership will be increasing. The annual rate will be $99 when your membership renews on August 5, 2014. From the website- If your membership renews before April 17, 2014, you'll be charged at a membership rate of $79. If your membership renews on or after April 17, 2014, you'll be charged at a membership rate of $99. While I've enjoyed Amazon Prime for the past 2 years, I have to make a choice between Netflix at $94 a year and Amazon Prime benefits at $99 (Free prime videos, Prime 2 day shipping, Kindle lending library). I think Netflix is a better value for my family, given that Netflix has a bigger library (including Disney), I can still get free shipping from Amazon if I order $35 at once, and I can get plenty of content for my Kindle for free on Amazon and the internet. I also have a Sam's club membership so I can get good deals there. I went to Amazon and selected "Remind Me Later - Remind me three days before my membership renews". Sorry, Amazon. I'm out as of August, 2014. If you're an Amazon Prime member, is it worth $99 a year to keep your Prime membership? Share your thoughts, please. Satellite TV: $30, No Monthly Bill. After setting up a FTA satellite system, I set a challenge for myself: Just how cheaply could I set up a FTA system for Galaxy 19? Turns out the number is around $30. Of course, the secret is getting a suitable dish for free. The dish I used was a discarded DirecTV "Slimline" dish, it's about 22" x 36". (I wouldn't try anything smaller!) You can find them on Freecycle.org, Craigs List, ebay, on your neighbor's roof, or at the dump. If you can't find a suitable dish for free or cheap, you can buy one but it will add about $50 to your total cost. Try the Winegard DS2076 76 cm Dish. What Can You Do With a Roku? Join Hulu Plus. Get two weeks free. Hello world! Welcome to SherlyJean’s Gifts! 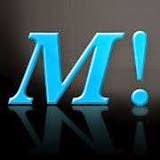 - Welcome to SherlyJean’s Gifts! The post Hello world! Welcome to SherlyJean’s Gifts! appeared first on SherlyJean's Gifts. A Penny Saved... is a Nickel Earned. Watch TV and Movies on Kindle Fire! Copyright 2009-2012, OneTotal Network and Cache Free TV, Logan, Utah, USA. Picture Window theme. Theme images by Josh Peterson. Powered by Blogger.